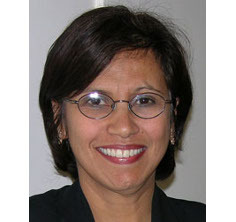 Iris López is Professor of Sociology and currently co-Director of the Program in Latin American and Latino Studies at City College. An invited speaker, consultant and board member, Professor López completed her Bachelors degree at New York University in literature in 1975, and earned her Masters and Ph.D. in Anthropology at Columbia University in 1980 and 1985. She is a specialist in Latino/a gender and educational issues, pre-natal care, and sterilization abuse. A.A., Borough of Manhattan Community College; B.A., New York Univ. ; M.A., Columbia Univ., Ph.D. Co-author, Telling to Live: Latina Feminist Testimonies, 2001.